House of 350 m2 on a plot of 2000 m2 at the foot of the mountains of Toledo. La Campera is a recently opened house that is divided into two houses, one of which is for 7 people and the other for 8. Each of the houses has spacious rooms, living room with fireplace and outdoor barbecue. It also has an outdoor pool and a games room. 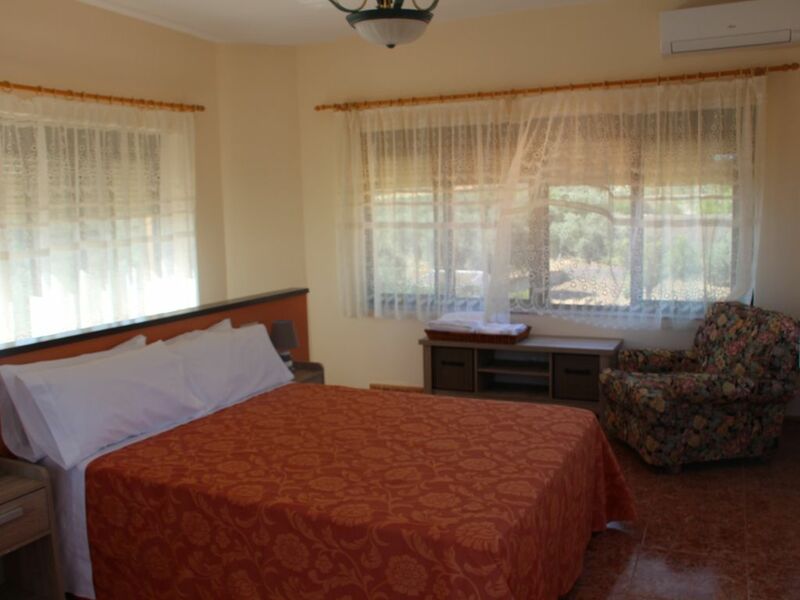 One of the houses has a room with a viewpoint, solarium and beautiful views of the Montes de Toledo. In total there are 5 complete bathrooms (one of them adapted to people with reduced mobility). The kitchens are also fully equipped and there are also travel cots and a highchair. The bathrooms have heating and all are very spacious. There is a games room with billiards, darts, football, stationary bicycles and children's games in addition to a plot of 1500 m2 where you can enjoy the sun and the outdoors.